GRP and REDLINE products: Durable, top quality wheel balancers made to last! The ultimate space saver balancer. 2 Dimension automatic entry with stick-on weight applicator. Foot brake for precise weight placement. Long 40mm shaft accommodates flange plates, motorcycle wheels, and wide wheel assemblies. Comes with 4 cones standard. Max. Wheel Weight: 150 lbs. Max. Tire Diameter w/ Hood: 33"
Max. Tire Diameter w/o Hood: 44"
Max. 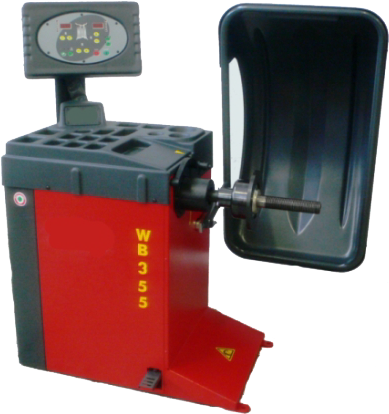 Rim Diameter for Weight Applicator: 26"
High volume balancer economically priced. Long 40mm shaft accommodates flange plates, motorcycle wheels and wide wheel assemblies. 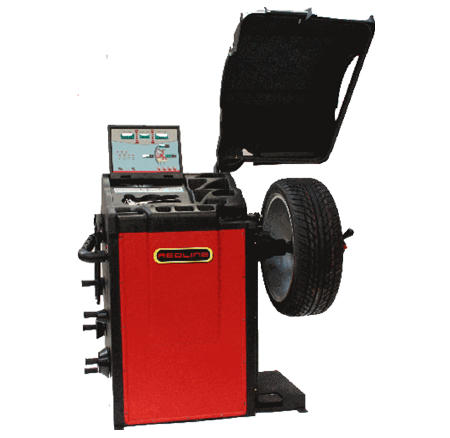 Full featured, high volume video wheel balancer. 3-Dimension automatic entry with stick-on weight applicator. 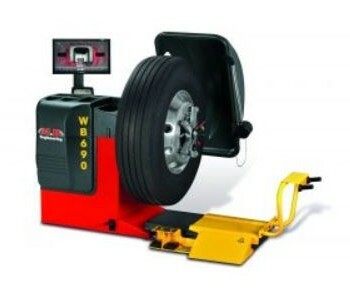 Model WB 690 heavy duty wheel balancer w/integrated wheel lift. Two machines in one! Balances car, light & H/D trucks. 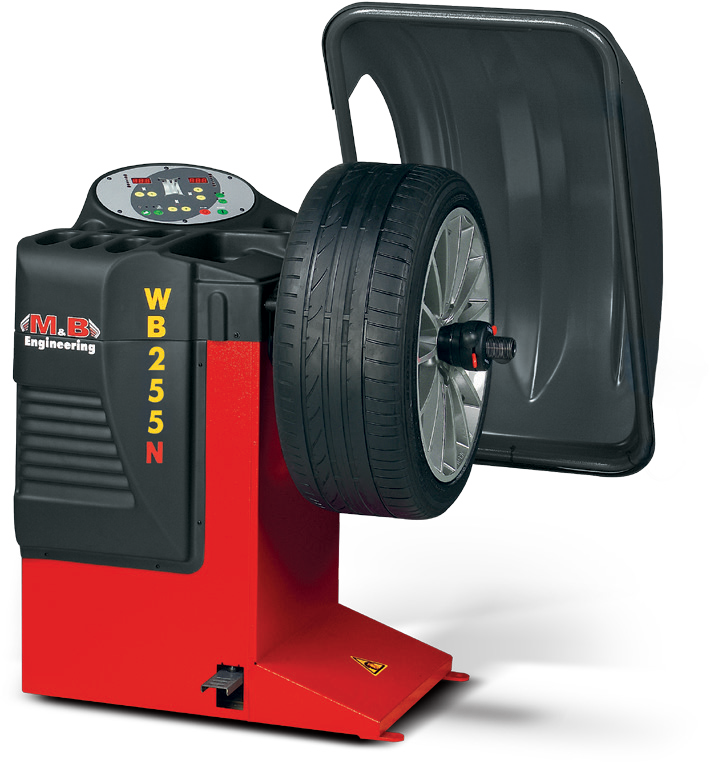 Features a foot-operated control switch for an integrated wheel lift. Has a wheel-lift capacity of up to 440 lbs. Easy to navigate car and truck modes. Different modes include: dynamic, static, aluminum, hidden spoke, and match mount. Comes with an automatic starting and braking system. Comes with both truck and passenger car adapters. Rim Diameter: 10" - 26.5"
Wheel Width: 1" - 20"
Max. Wheel Weight: 200 Kg. 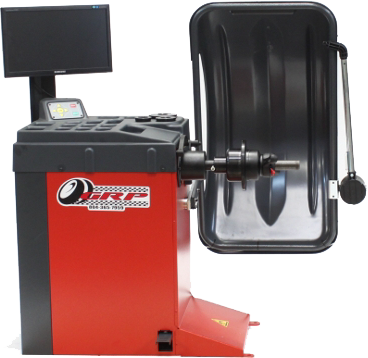 Max Tire Diameter w/ Hood: 47"
Max Rim Diameter for Weight Applicator: 30"
Unbalanced to 0.00's in one SPIN. 2 dimension automatic data entry, with stick on weight applicator. Long 40mm shaft accommodates flange. Plates, motorcycle wheels & wide wheel assemblies. Fold down display with large weight storage area. Precision stick-on weight placement with ALU data arm.